coldumoncenis, a photo by MoreThan21Bends on Flickr. 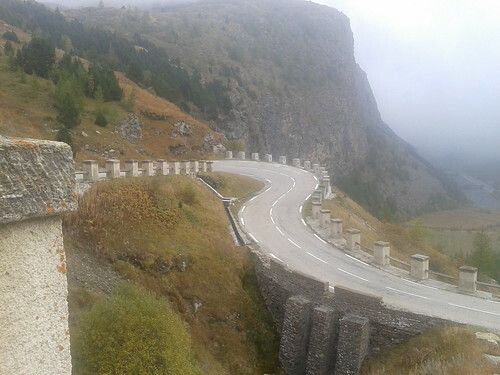 We are always on the look out for new climbs here and today I drove out to the base of the Col du Moncenis in Italy. The 2 hour drive to Sousa at the base of the climb was met with warm weather (for October !) I tackled the 26km climb from the south back into France. At over 1600 metres of climbing its definitely in the hors category and will make a great challenge for the Giro d’Italia in 2013 before it hits the Col du Galibier. Unfortunately the clouds came rolling in at the summit so I was unable to see much of the surrounding mountainside. This entry was posted in Bourg d'Oisans, COl du Moncenis, Giro d'Italia 2013 and tagged Col du Galibier Giro d'Italia, COl du Moncenis, Giro d'Italia 2013, Gito d'Italia Cycling Holidays. Bookmark the permalink.